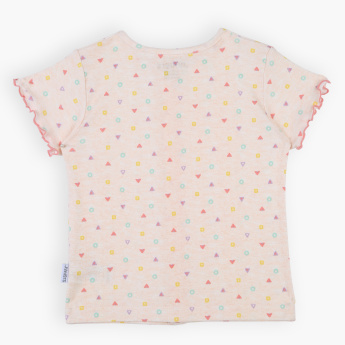 Lend a comfortable and stylish look to your little one with this printed t-shirt. 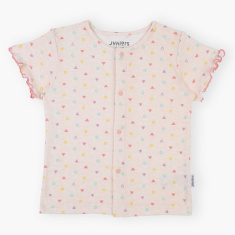 With short sleeves and a round neck, this t-shirt comes with a front opening to offer easy dressing. Features : Short Sleeves t-shirt with front opening for easy dressing.